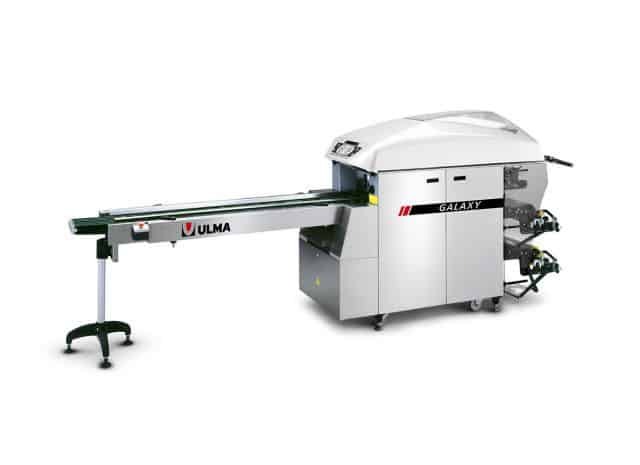 ULMA Automatic stretch film wrapper for fresh food product packaging in preformed trays. High performance level. Specially developed for packaging centers. Our GALAXY machine has been specially developed to meet market sectors that are demanding a great productivity in fresh product packaging with the stretchable film. Their incredible possibilities, their easy operation and cleaning make it the perfect machine to work in Packaging Centres. 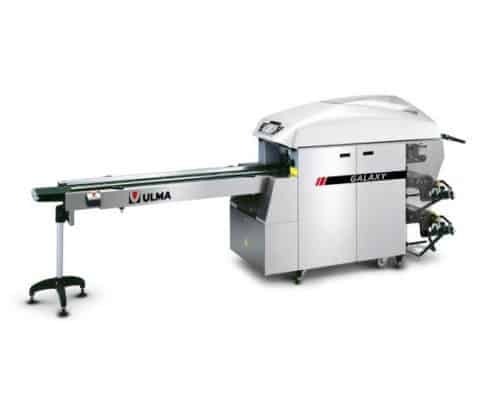 This machine has a robust mechanics and state-of-the-art electronics, which reflect its great reliability and flexibility to deal with a wide range of trays and products. Completely automatic or manual programmable operation. Double motor-driven coil support with automatic coil changing system. Variable pre-stretching and folding according to tray dimensions. Programmable film length to minimise film consumption. Programmable speed according to tray / product. End of film detection for each coil. Error self-diagnose in command panel. PVC, polyethylene, SS and polyolefin film packaging. Pressure Sealer (additional welding band with package pressuring device). Gravity and motor-driven output belts: on line, 90º and 180º. Connection to machine control for device or band synchronism. Packaging system with printed film (Galaxy P). Pressure sealer cooler tunnel. A sealing and shrinking system for packing with stretch shrink films.